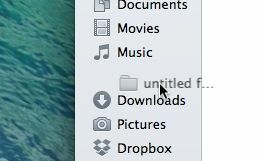 Open a folder—any folder—on your Mac, and you’ll see a thick gray column on the left side of the folder window. Meet the Sidebar, a list of shortcuts to “Favorite” file directories (like Applications, Music, and your user folder), “Devices” (like DVDs, iPods, and external hard drives) and other key items on your Mac. The Sidebar makes for an easy—and easy to forget—way to quickly jump to, say, you Music directory, or to drag items from your desktop into a Favorite folder. Nice, but what if the Sidebar doesn’t include the folders that actually matter to you? Or what if you’d like make the Sidebar bigger, smaller, or just plain gone? Not a problem. Have a personal folder you’d like to appear in the Sidebar? Just select it with your mouse and drag it to the Favorites section of the Sidebar—and when you do, make sure to place it between a pair of existing Favorites folders rather than inside of of them. 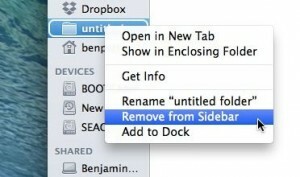 Right-click the folder you want to un-favorite, then select “Remove from Sidebar” to make it disappear. Remember that you’re only removing the folder shortcut from the Sidebar, not deleting the folder itself. 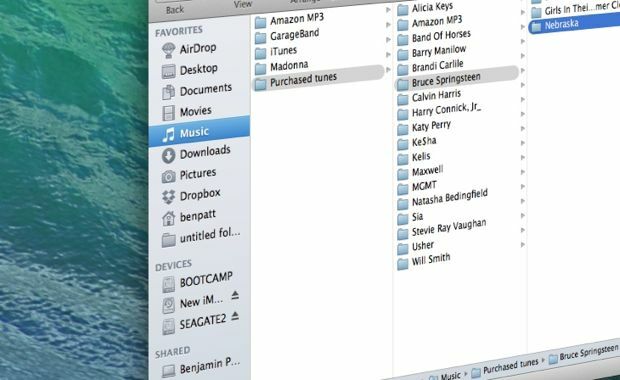 In addition to key directories like your Applications and Movies folders, the Sidebar can also display hard drives, DVDs, connected Internet servers, the new folder and file “tags” (which made their debut with OS X “Mavericks”), and other items. To add or remove any of these items, click your desktop to make the Finder menu appear at the top of the screen, click the main Finder menu, select “Preferences,” click the Sidebar tab, then check or uncheck the various Sidebar item options as you see fit. Want to move a particular folder to, say, the top of your Favorites list? Just click, hold, and drag to rearrange items in the “Favorites” list of your sidebar. Just click and hold it, then drag it all the way up to the top. Grab the Sidebar’s right edge with your mouse and drag it one way to expand it, or the other to shrink it. Confusingly, any changes you make to the size of the Sidebar will apply only to the selected folder; open a different folder, and the Sidebar will be back to its normal size (until you change it, of course).